When Katie & John visited our shop, they were looking for ideas to display Katie's & John's ancestors' wedding dresses on their own wedding day. 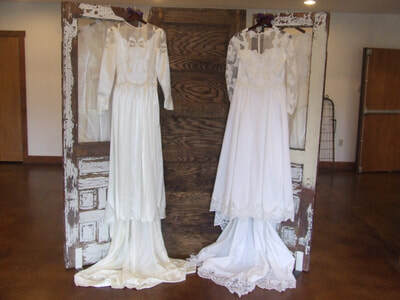 We came up with the idea of hanging the dresses on a trio of old doors. 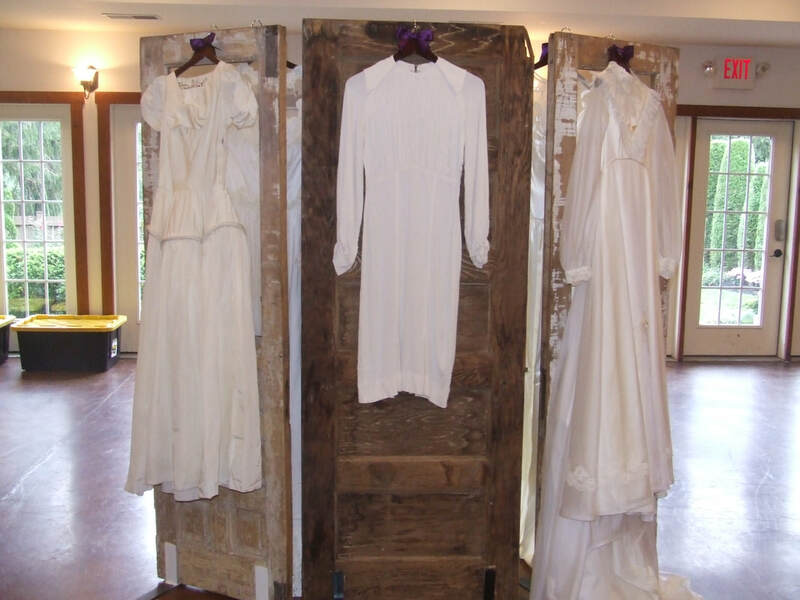 What a beautiful & honoring sentiment, to have such a family heritage present on your wedding day.